Stephen Hawking discusses time travel in the above link. He rules out the causality paradoxes, but finds time travel possible with a few household items: a particle accelerator or a souped up rocket. We are time travelers, dropping into the future like a falling brick. When we speak about Time Travel, though, we're referring to the control of time's passage. Artists do their best to slow time, freeze it for a closer inspection, dawdle backward over some intriguing moment, or leap into the deep future where human exertion can't take us. Is controlled time travel possible? If not today, ever? If it will be possible some day, are we being visited by those future tourists in our own time? Would we even know? If one of our future number goes into our past and dabbles with our history, what then? It's a puzzle with ample ambiguities, but let's clarify. What are we talking about? Napoleon tries out Uncle Rico's Time Machine. Don't believe everything on the internet. See below. There are two popular interpretations of time travel. There is the "Back to the Future," (BTTF) model in which we are transported, body and soul, to some previous or future moment, like a ride to Jupiter, except through time instead of space. Then there is the "Napoleon Dynamite" (NapD) model in which Napoleon's earnest but ne'er do well uncle Rico dreams of reliving a few moments in his personal past. He's not thinking about showing up as a thirty-something washout to advise his younger self. He wants to re-inhabit his high school body, presumably with the wisdom he's acquired since, rewind the tape and play that part again, with a better outcome. He wants a redo. 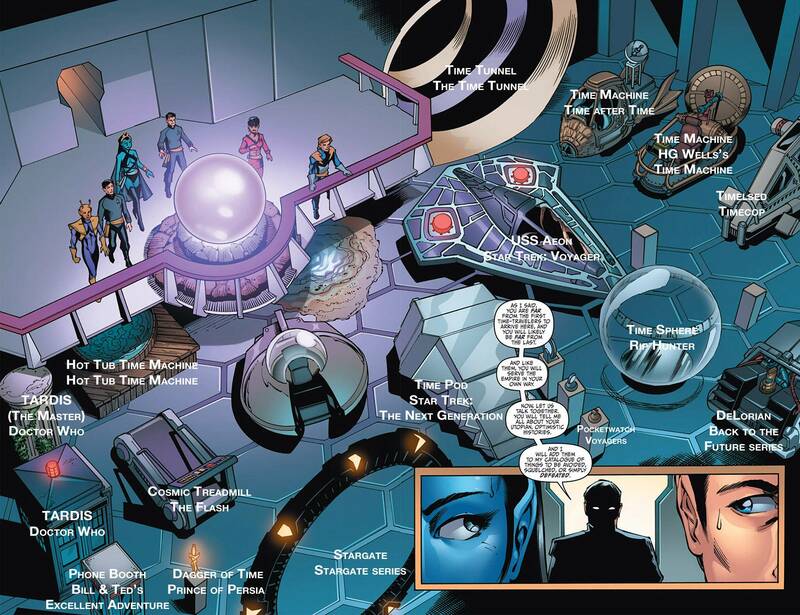 The BTTF model is much more commonly imagined, but the NapD model appears in Star Trek, for example, and used to be pretty common in the old Superman Comics. Superman would fly around the earth pretty fast, in a retrograde direction, and right some past wrong. 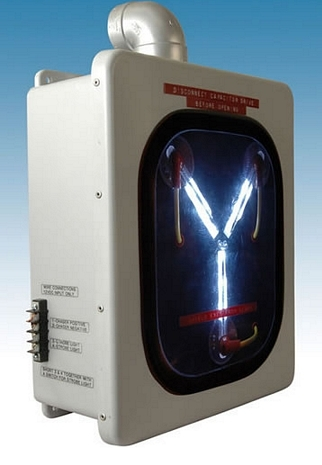 Time Travel devices in popular culture. 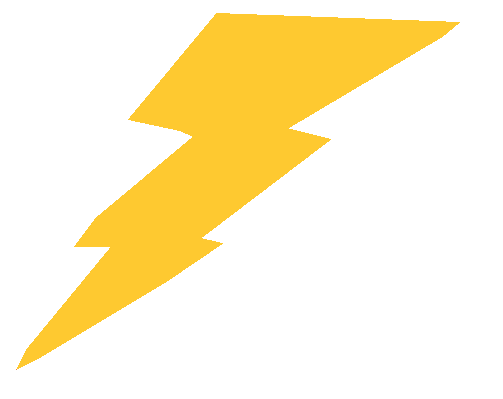 Read about and see some famous fictional machines. The BTTF model seems somehow more scientific than the NapD, which might require a supernatural transplantation of a current consciousness into a previous physical body. Scientists, when they admit to thinking about time travel, sometimes edge toward the side of accommodation, in the BTTF sense, and some have even proposed how the laws of physics, as now understood, might be exploited to veer off into the past or future, often on tiny scales with a few photons or subatomic particles. If we pretend someone can solve the temporal transport problem, the equivalent maybe of building the Saturn V of time travel, there would be other considerations. If you want to skip all this scientific mumbo jumbo, you can dive right in. 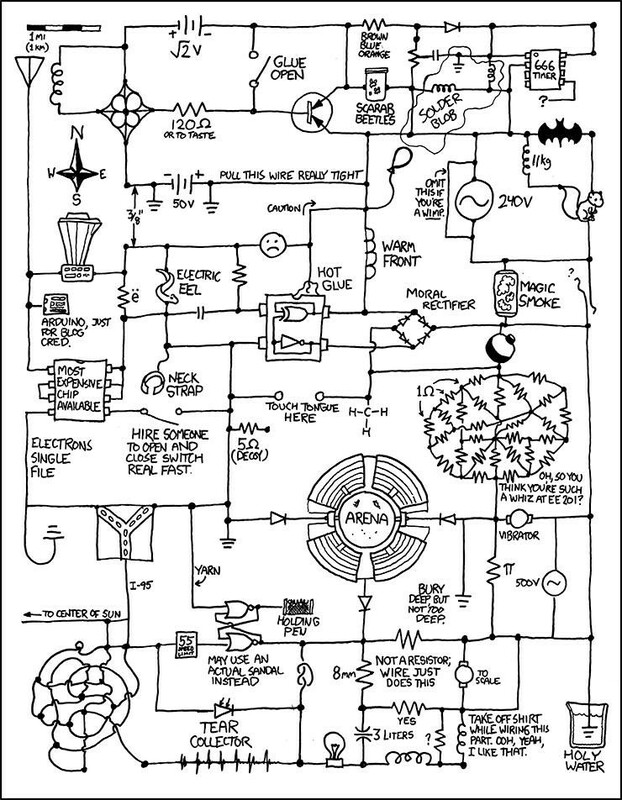 Grab a soldering iron, study the circuit diagram, get the book, and get to it. When you finish, you will be far into the future. To go into the past, simply reverse everything. Superman does his time-travel trick. Read about it in mental floss. Flying to the moon requires both propulsion, and navigation. Bodies moving through space, being influenced by the mass and motion of all other bodies in the universe, present formidable computational problems for space travel. Navigating through time has similar, but staggeringly more complex difficulties. When you buckle into your DeLorean and head back to 1955, you're moving through 4-dimensional space. If you knew how to turn around and shoot back down the timeline toward a previous year, it wouldn't be enough. You'd have to navigate to a particular location in space, namely, the location of Hill Valley in 1955. It's moved since then. The earth spins at about 1,000 mph, it orbits the sun at about 67,000 mph, the sun orbits the Milky Way at about 515,000 mph, the Milky Way speeds toward Adromeda at about 252,000 mph, and beyond that we know everything in the Universe is flying away from everything else, ignoring local approaches like the one above, at about 68 kilometers per second per megaparsec of distance from earth. All together, by conservative estimates, we're about 500,000 miles from where we were an hour ago. When the DeLorean gets back to 1955 it's going to be a long way from Hill Valley. Furthermore, it's going to be moving at tremendous speed in a direction determined by its motion at the moment it left 1984. It will be zipping along on a tangent to whatever curved path it was on while it was held by the gravity of the spinning, orbiting, galaxy following earth. Proof of time travel found on the internet. 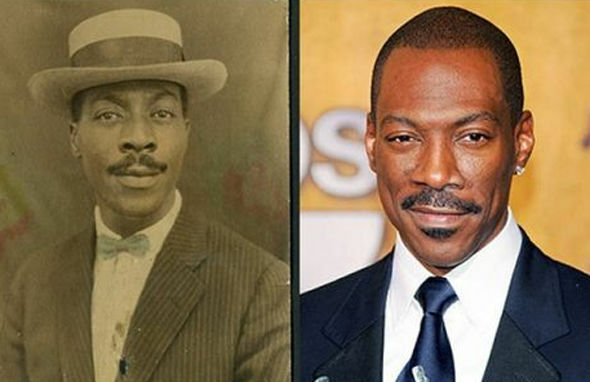 It's eery how much time travel evidence has come to light since the invention of Photoshop. It will be necessary to know and navigate to the spatial coordinates of Hill Valley 1955, and some powerful propulsion to cover the distance. A classical solution to the first might be some massive accumulation of complex differential equations, informed by precise observation of initial conditions, and to the second perhaps a bundle of Saturn Vs, although a hyper drive would be nice. Some assume we know how to do such precise calculations because we do something similar with GPS. In terms of precision requirements this is similar to saying someone armed with a yardstick could measure the wavelength of green light. Any error propagated through years of calculations by the most miniscule deviation in initial conditions will result in unpredictable differences. More proof of time travel from the internet. A popular idea for overcoming these problems involves space bending, sometimes referred to as a wormhole. Closely related is the idea of parallel universes, other realities accessible through some dimensional hocus-pocus of reorientation, somewhat like looking in a hidden direction. The space-bending idea can be imagined by considering a one-dimensional being, moving back and forth in its confined space, and progressing through its second dimension of time. It can be illustrated by a sheet of paper, the one-dimensional critter walking up and down the page, while time progresses to the right. Our hero finds a way to bend the paper back on itself, maneuvers itself beneath its previous track and performs some third-dimensional trick to poke through to the exact time and place it had previously been. No spatial translation would be necessary because the alignment is done by bending reality before the creature peaks through to the other side. 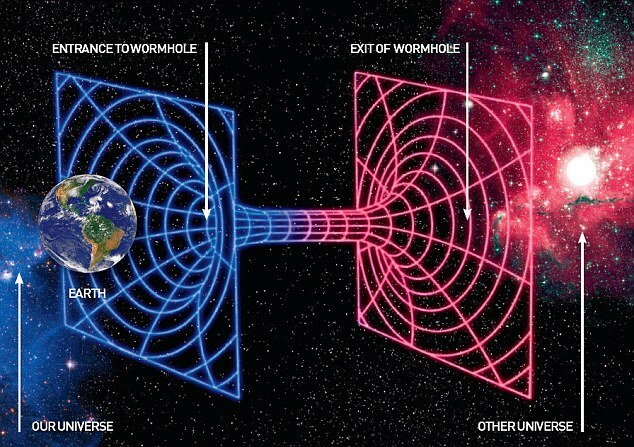 Wormholes, very popular at present, are similar in their ability to offer a pre-constructed path to a particular time-space region. Hmm. We don't need to worry about all those things when we travel forward in time in the natural order of things. The universe does all the calculations, or space bending, for us and gets us to the exact right place at the exact right time. Let's suppose some clever person, like the inventor of the flux capacitor, figures out how to do something like this: to trick the universe into doing its magic when we skip across time. A blogger keeps us current on the best of time travel science fiction. When we get to Hill Valley, 1955, there are some other things to think about. Everyone knows to take care that their actions in the past don't "shred the time-space continuum," by which is apparently meant, don't do anything that would alter the future to something it wouldn't have been if you hadn't made the trip. People often think of shooting their grandfather, grandparents being an obvious hazard for time travelers, but wait. They're not the only problem. The DeLorean consists of about 1230kg of mass. An average human is about 80kg. Throw in some clothes and fuel and a couple of people arriving in 1955 are adding around 1400kg of mass and associated momentum to the universe. 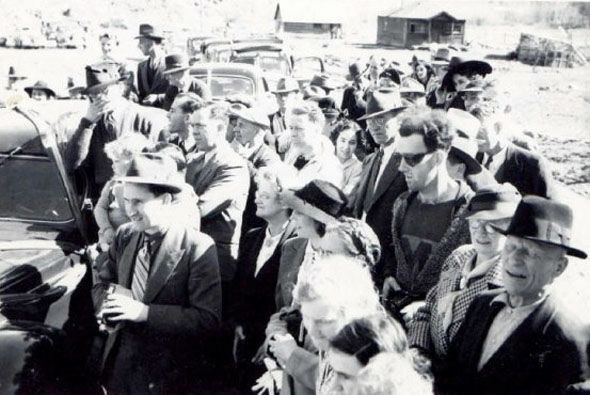 Each occupant is carrying a human brain chocked full of information not extant in 1955. The moment the DeLorean touches down it bends the grass, dents the soil, disturbs the airflow, and alters the earth's angular momentum. The occupants breath, eat, digest and so forth. The rotation of the earth is disturbed. Weather is effected. Air composition is changed. Information accumulated over the next two decades is suddenly present before its time. Scientific American Magazine solves the grandfather paradox!!!! If you think these changes are inconsequential, consider that the universe is a complex intermixing of myriad individual systems, interacting in unpredictable, chaotic ways. Reality plays out according to deterministic laws that can be calculated very precisely. But tiny changes in initial conditions, the angular momentum of the earth for example, make huge, unpredictable changes in future results. This is the meaning behind the suggestion that flapping butterfly wings could cause a hurricane. Miniscule aberrations propagate over time into enormously different outcomes. Changing the instant conditions in 1955 by 1400 kg, with attendant atmospheric and momentum impacts, will have unforeseeable consequences later. 1984 changes the moment the DeLorean arrives, and changes more with every step its occupants take. When our time travelers reach 1955, they carry with them two human brains, loaded with information not extant the moment before they arrived. Information is correlated to entropy. In an instant the entropy of the universe has been decreased. Imagine the facial contractions of all those frowning thermodynamicists. Future information available in 1955 will necessarily enter the stream of human information, becoming a factor in the evolution of future information, the past necessarily evolving into a future different than that possible without it. Click cartoon for a slide show on dynamic feedback loops. But wait. What does that mean? If 1984 influences 1955 which in turn influences 1984, we have something resembling a temporal feedback loop. Feedback loops can stabilize to an equilibrium point, or they can lead to ever-accelerating change, turning 1984 into a runaway social explosion. The time travelers are themselves in the feedback loop. Will their memories be instantly changed to coincide with the changes they cause in their own history? What does the word "change" even mean in this context? Change is the difference between the state of things now and the state of things later. We see the horse here, and then we see it there. We remember the two positions, and conclude the horse moved. For the past to "change" the future, we need another time dimension, independent of the one we're dabbling with, to sense changes. If the time traveler's breathing causes his father to contract pneumonia causing his own childhood to be more desperate than it would otherwise have been, won't the time traveler have those memories? Will it be possible for him to have any other memories? Was there a change or is the future forever determined by the BTTF time loop and did the time traveler ever have any other memory? This is a way of saying, "If the time traveler changes the past and thereby changes his future self, how would anyone know?" There would have to be memories separate from the flow of time, stored in some personal timeline carried with us when we time travel. 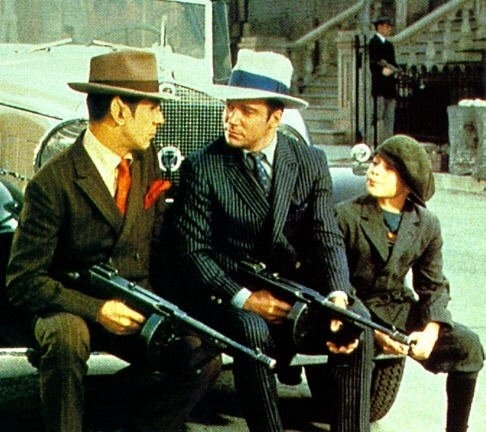 Star Trek often used Time Travel as an excuse for a costume drama. Here's an attempt to unify the Star Trek time travel concepts. Oh well, let's suppose the universe is somehow keeping track of iterations through a time loop, and people figure out how to access the universe's book keeping. What would such bookkeeping look like? Now we come face-to-face with our failure to comprehend time. The human mind has never been comfortable with the concept. Thoughts about it veer straight off into the circular boundaries of our reasoning power. We sometimes treat time like another space dimension (with hand-waving differences for computational convenience). Think of a two-dimensional graph on which one axis represents time and the other a composite of three-dimensional space. We can trace the motion of something through time and space on the graph, carry out calculations, and make highly useful predictions about velocity and location. We can generalize such graphs into four-dimensional calculations, although attempts to visualize the generalizations have much less utility. Everyone realizes these conventions miss something vital. Click cartoon for a slide show on how to build a time machine. Before trying this, go back and view again the Napoleon Dynamite clip. Our static representations of time leave us vaguely unfulfilled because they do nothing to explain the passage of time. Perhaps past, present and future can be accurately depicted on a sheet of graph paper or in appropriate, if deadly complicated, equations. But we can't locate our observations in such a static picture. To us, we are moving through time. What does that even mean? At best its just a metaphor that breaks down on close inspection. Motion is spatial change over time. If we're moving through time, then in reference to what? Some people have proposed a better metaphor might be the continual destruction and creation of reality. Everything, including the observed and the observer, disappears and reappears, the new moment carrying the residue of the previous in the form of memories and scars. This just begs the question. What causes us to move from one moment to the next, and what are moments? Many people have tossed up their hands at this point and declared time to be an illusion. This has a vague, intuitive appeal, but attempts to expose the universe's sleight of hand always seem to end with another trip around a new set of circular definitions. One theorist, for example, thought he'd explained time as simply being a word for change. What's change? See above. Dr. Doron Friedman, Head of the Advanced Reality Lab, Adelson School of Entrepreneurship, Tel Aviv, has run virtual reality scenarios that propose solutions to the grandfather paradox. Check out his paper in the link at left, or the credibilty of his other work in the link at right. 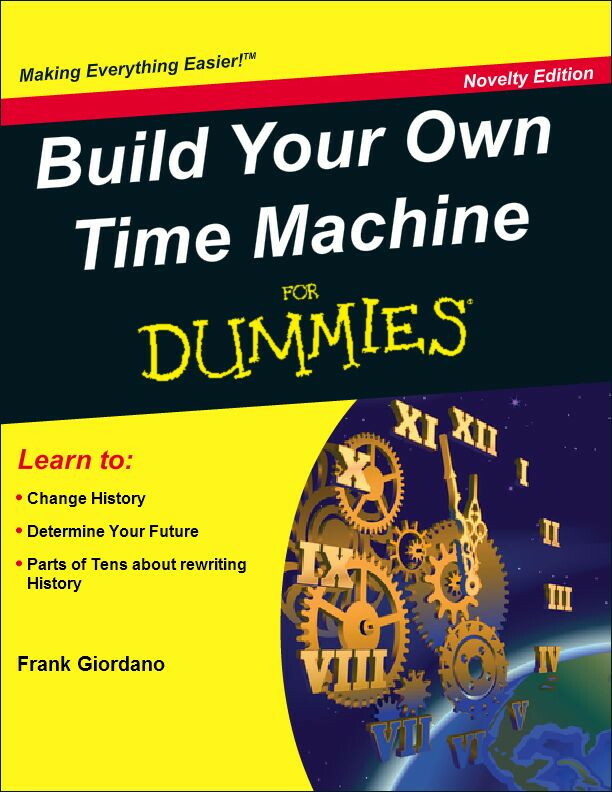 If you're thinking about converting your DeLorean into a time machine, you'll need a flux capacitor. You'll also have to ignore the disclaimer. Wandering down this path into the what-is-time(?) bramble, stumbles us inevitably into the discrete/continuous dichotomy. Is time a continuous flow in which infinitely tiny moments flow like points on a line of real numbers (infinite decimals), or do moments arrive in discrete grits of time, like the integers, tumbling out one after the other. The mind shuns such questions. If time is continuous then how does it even get from one moment to the next, since in such a mathematical context, there is no discernable "next" member in a continuous set of numbers. If the moments of time are discrete, then how long is a moment? Is it a Planck second, a time unit employed by physicists when theorizing about the very tiny? In either case, how is it that we experience the passage of time? What propels us from one moment to the next? And is there anything between the moments? What? LiveScience web site tells us about constraints on time travel. Oh well, let's suppose a clever person figures all this out. Then we jump into our DeLorean, cruise around through time, fixing up history however we will, blithely unaware of our total influence, because any changes are instantly propagated into our memories. Or else someone keeps track of what we're doing, by accessing some other dimension of time, or otherwise consulting the universe's bookkeeping, and taking appropriate actions. The social implications are staggering. Laws would be passed, or have been passed in some future time, or in this time at a more advanced iteration of the temporal loop, to control history. The current moment would be under constant review to make sure it was politically acceptable. The Department of Chronology would have its agents monitoring all eras to guard against unauthorized rewriting. Robotic intelligence would be required to anticipate and respond to temporal mischief. Machines would truly become God-like. The dystopian possibilities cramp the brain. Dr. Who? The Ancient Code web site offers some encouraging thoughts for getting on with time. Never mind. Let that play out how it will. What about the NapD model of time travel? Something like it appears in some TV shows and movies as a temporal loop. The same physical beings jump discontinuously from some moment to a previous moment and replay their past lives. Usually there is some difference in each iteration that allows a plot to develop, invariably as someone caught in the loop becomes aware of what's happening and takes steps to break out. See your shadow? Spontaneous temporal loops aside, what would be involved in a willful rewinding of the tape, as envisioned by Napoleon Dynamite's uncle? If we knew how one moment turns into the next, how our conscious selves get from "now" to the next "now," and if it involves a mechanism of some kind, then it might be possible to tweak that mechanism and select some previous "now" for the consciousness to embrace. At the very least it would probably require capturing, in a mechanistic way, the current state of the human nervous system and merging that with the nervous system of the previous "you." Then "you" would move into the body of your previous self with some residue of your future consciousness, ready to correct that mistake you made long ago. The social implications of the NapD model are at least as formidable as with the BTTF scenario: Time Police, God-like machines, and so forth. Slide show on time travel. Capturing the "current state" of the nervous system suggests another problem common to both the BTTF and NapD notions of time travel: the boundary difficulty. It's hard to say exactly where any physical object begins and ends. Precision of measurement aside, and that's a huge aside, the edge of a physical object is indeterminate. At the molecular level, and below that at the atomic and sub-atomic particle level, objects are pretty dynamic. Bits come and go continuously, and the tiny bits themselves are subject to the uncertainty principle: we can't know precisely where they are and where they're going. When we move through space, or let nature carry us into the future, we don't need to worry about it, because the universe handles the uncertainty for us from moment to moment. But, when we take time into our own hands, sending some "thing" into the past, we will need a precise definition of the "thing" we're sending. Round-off errors and best guesses will show up as unforseen, perhaps grotesque, oddities when we get back to 1955, or attempt to replay that football game from ten years ago. Alternatively, and just as fruitful for fictional depictions, we can embrace the body/soul dichotomy, assume our essential consciousness is separate from our physical presence, our minds finding expression and agency through our brains and physical bodies. In other words, assume a supernatural existence. In that case, we still shouldn't imagine ourselves unconstrained by physical observations, able to postulate time travel however we think God might want it. If our external consciousness is finding expression through our material presence, then we still know what we know about the physical universe, and if we imagine it yielding to purely external "will" we will want to find some evidence in the physical world before we readily believe it. The magician should be tested. Time travel, whether intended as fiction or not, always seems to leave some nagging questions, all of them manifestations of the fundamental question: what in the world (or out of it) is time? Where in the world are the Time Travlers?